Warmly welcome to my Rep page. I am your IBM Business Analytics & Data Science Representative for the Finnish market. Contact me if you want to know, how advanced analytics can help your business. Your digital superpowers are needed – to help your fellow human beings after disaster strikes. Call for Code is an opportunity to make a difference! – Not through contributions and money, but by using your most valuable asset: your time and knowledge. A challenge to all developers, designers and others who are able to make the world a better place on a local and global level by creating digital solutions; to support society and make an impact. Re-invent the way your business delivers at Watson Supply Chain Summit. Details: At the event, you can explore firsthand how a Smarter Supply Chain enabled with AI and blockchain can provide real-time actionable insights to deepen connectivity, extend collaboration achieving unprecedented visibility while driving new levels of trust. Please follow the link for further details. 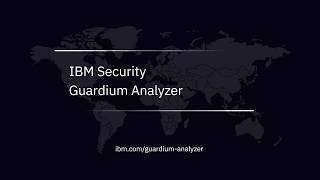 IBM Security Guardium Analyzer helps organizations efficiently address regulated data risk through data discovery, data classification, vulnerability scanning and database risk scoring for on-premises and cloud databases. Learn more about in the video and sign up for your free trial! How is Watson helping businesses across the globe to build a smarter future? Powered by the latest innovations in machine learning, Watson lets you learn more with less data. You can integrate AI into your most important business processes, informed by IBM’s rich industry expertise. Follow the link and to watch the video to learn about our technology! Visit the blog to stay updated on solutions, webinars, events and announcements that may be relevant for you and your business. How has the Danish Refugee Council been awarded an Impact Grant through IBM’s CSR program? itelligence Denmark's successful deployment of IBM Power Systems and Storwize! itelligence Denmark has reinforced its market leading position in SAP hosting services with IBM’s cutting-edge infrastructure. To differentiate themselves from the crowded IT service provider market they needed something extra. For CIOs to be successful in helping drive digital transformation, they must first transform their own roles by expanding beyond traditional business, technology, and leadership areas of focus to include the “three I’s” of the new CIO: ingenuity, initiative, and inspiration. Learn how IBM partnered with Europe’s largest window manufacturer to make homes in Europe smarter and safer with IBM IoT. Inwido is Europe’s largest supplier of windows and a leading door supplier. The company has operations in the Nordics, Germany, Ireland, Poland, the UK and Austria and also exports to a large number of countries. Watch the video to see why Inwodo chose to select the IBM IoT Platform! IBM is asking the question: what kind of tech company does the world need today? One that applies smart technologies at scale with purpose and expertise—not just for some of us, but for all of us. Let’s expect more from technology. Let’s put smart to work. AI bias will explode. But only the unbiased AI will survive. The number of biased AI systems and algorithms will dramatically increase, but we will come up with new solutions to control bias and champion AI systems free of it. 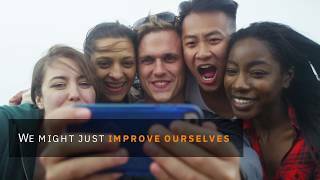 We may even improve ourselves in the process. Learn more in the video! All organizations need to create digital trust to stay relevant. The cyber resiliency framework from IBM enables IT professionals to do so. Learn more by watching the video! Imagine the possibilities for your business when you can unleash the full power of Artificial Intelligence! IBM Watson OpenScale is the open platform to operate and automate AI across its lifecycle. With Watson OpenScale, eliminate barriers to enterprise-scale AI, increase business confidence in outcomes, and operationalize your AI on any cloud. See how it works in the video by clicking "Learn more". Today, we live in a world filled with smart technology. But it’s only really smart when it’s put to work at scale, from agriculture and conservation to healthcare, security and global trade. IBM's new analytics platform enables you to make smarter, faster marketing and CX decisions based on insights into customers across touchpoints and channels. Curious? Learn even more about the power of AI in IBM Watson Customer Experience Analytics by following the link. In this blog, three concrete tips for the new CIO-role will be provided. These are based on the ability to harness the power of technology and knowledge to drive exponential individual professional and business outcomes. Getting more from what you have is the key tenet of the cross-selling and upselling mantra. Using data science techniques in your analytics will help you identify the best customer to target, with the best offers, at the best time. Follow the link to learn more. Come on – who cares about IBM introducing a new storage system? For one, our customers do. That’s why IBM get quite some “likes” when introducing what is probably the fastest storage system in the world right now: IBM FlashSystem 9100. The best of IBM in 2018. Everything from research, events, AI and cyber security to call for code and tackling global challenges! Visit the IBM Digital Nordic blog and get inspired about our solutions, products and events. What’s the meaning of all the buzz? The IT industry fast paced and ever-changing. There are product introductions almost every month from all kinds of vendors. Moreover, all vendors love to throw buzz words around to create the next big thing. So, what does it all mean? Click here to learn more. 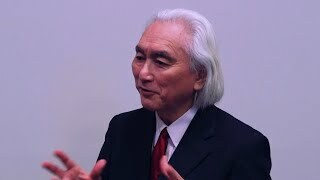 Watch Dr. Michio Kaku, an American theoretical physicist and futurist, share insights at the IBM Think 2018 conference. Do You Trust Your Data to Drive Better Decisions? Understand the quality of your data and drive better decision making using the Analytics Cycle. Two New Resources Help You Learn How.